This week, Ariana Grande earns her third No. 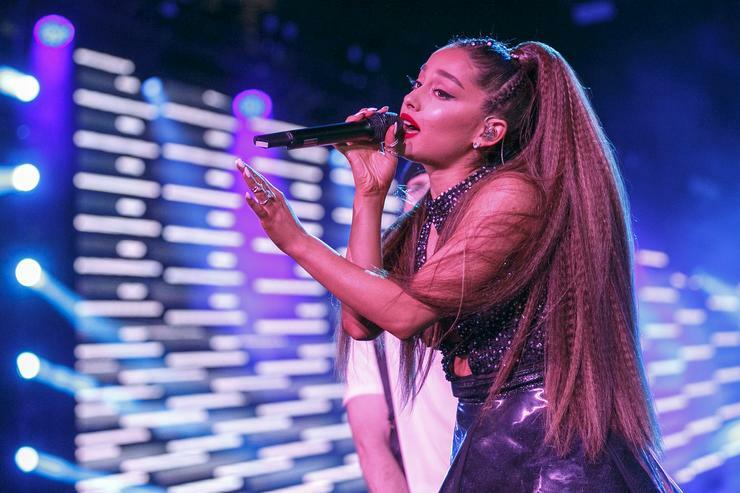 1 album on the Billboard 200 chart as her fourth full-length studio outing Sweetener debuts at the top spot. Released on August 17th, the project opened up with the equivalent of 231,000 album units as recorded by Nielsen with 127,000 accounting for pure album sales. Previously Grande sat in the penthouse with 2014’s My Everything and the 2013 debut Yours Truly. Her third album, Dangerous Woman, is the only one to ever miss the mark, debuting and peaking at No. 2 in the shadow on Drake’s Viewswhich held at No. 1 for 14 consecutive weeks. Sweetener also marks the second-largest week for an album by a woman this year with Cardi B’s Invasion Of Privacybeing the only other project tto come through with a larger figure at 255,000. Impressively, it also marks the largest streaming week of all time for a Pop album by a woman, collecting 126.7 million on-demand audio streams, making it only one of four other non-Rap titles that have ever gotten over 124 million streams in one week. She joins the ranks of Ed Sheeran’s ÷ (Divide) (134.6 million), The Weekend’s My Dear Melancholy (140.8 million), and The Weeknd’s Starboy (175.2 million). There are 37 other titles that have reached that honor, all of which have been hip-hop albums. Naturally, at No. 2 Travis Scott’s Astroworld sits comfortably after earning a solid 110,000 in its second week, dropping by 46 percent. Nicki Minaj’s Queen slips to the third spot with 95,000 units while Drake’s Scorpion follows at No. 4. Post Malone maintains his reign in the top 10, sitting at No. 5 with beerbongs & bentleyswhile the late Aretha Franklin’s 30 Greatest Hits moves up to No. 6, giving the legend her highest-charting album in 50 years. The last time she was near the top was when 1968’s Aretha Now sat at No. 4.